On a very special (but not more special than usual) Hype Podcast episode, we briefly review Captain America: Civil War, talk Marvel and Star Wars news, discuss TV and film news and recap this week in TV. – Is Kevin Feige the George Lucas of the MCU? – Alden Ehrenreich is Han Solo! Yay? Nay? Meh? – Live TV is officially coming to Hulu — Goodbye, cable box? – Power Rangers costumes revealed. Marama is NOT happy. – Selina caught up with Agents of S.H.I.E.L.D. — and then fell behind again! As always, we round off the show with Listener Feedback. To have your opinion heard on the next episode leave a comment on this post, tweet us @HypableHYPE, and/or email [email protected]. 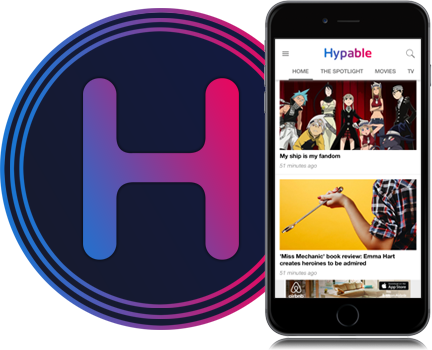 The latest Hype Special is here, and it’s all for you, Damien fans! Bradley James, who stars in A&E’s brand new horror drama, is our special guest for the first half of this episode where he gives us the scoop on what it was like to create season 1. Another Hype Podcast host hops on the Jungle Book cruise as we break down Disney’s nine new live-action films, talk about Fantastic Beasts news, the new Doctor Who companion and more.